Tippling Bar from Singapore Tells Us the Story of a Cocktail at Yes, Please! Yes Please! Bar in BGC was recently taken over by the amazing duo Andy Loudon and Mel Chavez of the Tippling Club, an award-winning bar and restaurant in Singapore, and the cocktails were outstanding! Tippling Club has been working with the International Flavors and Fragrances (IFF), the leading innovator of sensory experiences that move the world, for several years now and they brought us ‘Perfume: The Story of a Cocktail’ with four different cocktails that made us celebrate our senses. Reading the menu felt like going on a long quest to find the old magician’s hut where you can finally get the potion that will give you your heart’s greatest desires. They served Oud & Lust; a cocktail made with Ardbeg, mastic, orange, and shitake with some tuberose absolute, oud, and vanilla bean extract, Cream of Sandalwood; made with Belvedere, sandalwood, sesame, citrus, and soda with some figue leaves, sandalwood oil, and sesame absolute, Elixir of Orris; made with Hennessy, raspberry, mint, port, anise, and papaya with some neroli oil, orris concrete, and white musks, and Crispy Myrrh; made with Glenmorangie, bay leaf, sage, run, and burnt butter. It wasn’t easy choosing a favorite because each cocktail was equally excellent. Oud & Lust was the strongest of them all; perfect for the warrior in us. Cream of Sandalwood was very light and refreshing; something that many princesses would enjoy drinking by the river. Elixir of Orris, with one of the world’s rarest perfume ingredients, was something that the youth would relish for its saccharine tang. Crispy Myrrh, with its powerful, dark flavor, cpuld have been every broken-hearted man’s companion because of myrrh’s association with death and mourning. Tippling Club is also known for their cocktail-infused gummy bears, which guests could try before ordering their drinks. Their whimsical menu called Dreams and Desires is the second edition of their Sensorium Menu. 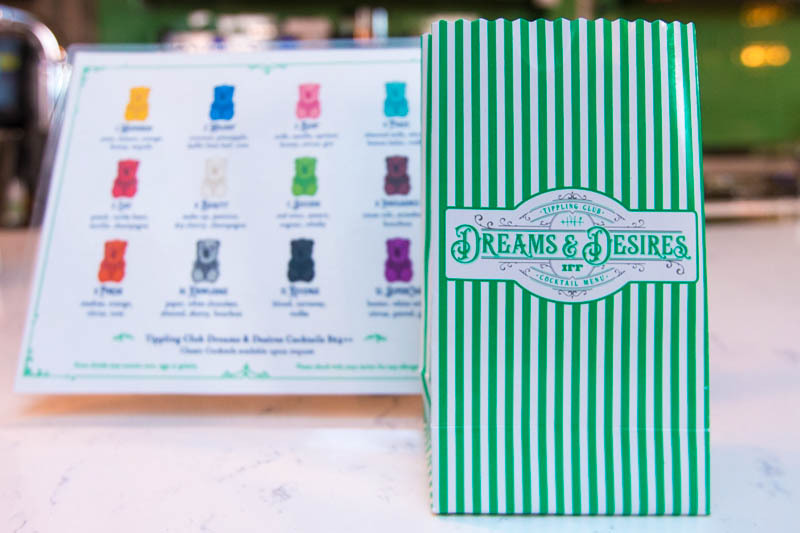 There are 12 items on the menu and you will be given a paper bag with 12 gummy bears in them named after your dreams and desires – from happiness to revenge. Although they didn’t bring their Dreams and Desires to Yes Please, they brought their stories instead – stories that made us celebrate our senses. 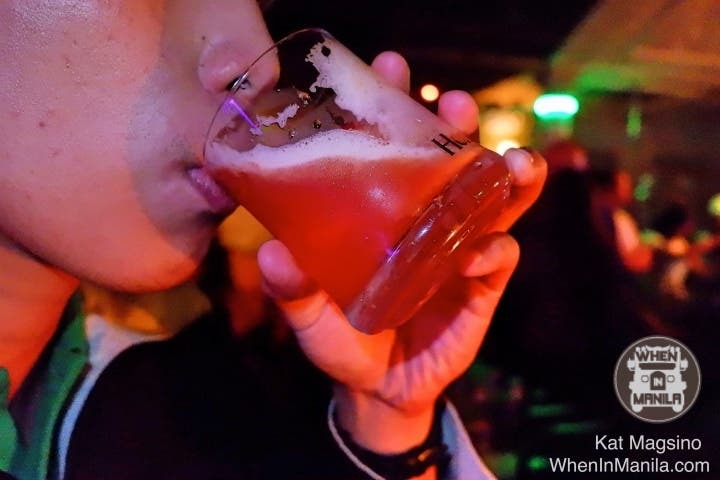 Yes, Please!, a speakeasy bar in BGC owned by a group that includes Erwan Heussaff, is a place where you can meet people minus the chore of squeezing yourself through the crazy crowd of people shouting to overly-loud music. Read more about Yes, Please! here. With its 90s and 2000s-inspired vibe, you can just enjoy great and relatable beats by the DJs while having dinner and drinks with your friends. Let’s see who’s taking over Yes Please! next time. She keenly listens to stories like how a child would to her mother. She tells her own story through photographs and words. She dreams to live a life of travel and call the whole world her home. Right now, she's finishing her Bachelor's at the University of the Philippines Diliman while working as a social media manager, an English teacher, and a writer in her free time.